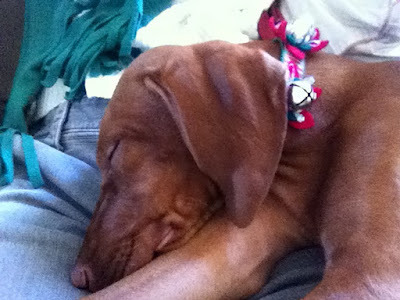 Riley got a collar yesterday with jingle bells on it. 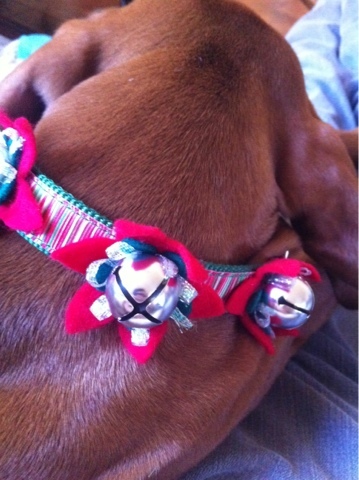 Reuben was worried the bells would bother her, but she didn't mind them at all. She is ready for Xmas!